The deliverable contains description on the installations and extensions that were implemented and deployed by the inCASA pilots with the help of the technical expertise in the consortium. 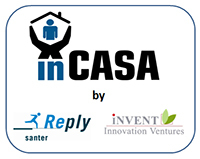 The inCASA Pilot Evaluation Report. Report on the organisation and outcome of National Exploitation Events. Final plan for the dissemination of knowledge gained in the framework of the inCASA project.